Nagaland, a state in the remote north eastern part of India, continues to remain an alluring mystery to all those who ever saw, heard or even remotely experienced a whiff of it. In spite of the growing rate of tourists and travellers flocking to this region, there are certain aspects of the people and life here that continue to be shrouded in an age old enigma. 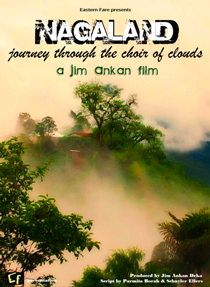 The grandeur of this enchanting land mixed with its breathtaking natural beauty, vibrant culture and enthralling history is precisely what Jim Ankan Deka brilliantly showcases in his documentary “Nagaland-Journey through the choir of clouds”. “Nagaland - A place where swirling clouds gently kiss the mighty hills, where nature preserves in its bosom the primeval traditions of the land, where picturesque sights await at every blink, where ethnic notes conflate with temporary melodies....” As these words make their way to the heart of the viewer, an overwhelming sense of wonder and reverence permeates the soul, and one cannot help but agree that an enlightening and profound impression is what comes across through the documentary, as it highlights the tribal life, culture, myths and folklore of Nagaland. Imbued with the pristine sounds and moods of nature; beliefs, customs and social behaviour of the Naga people, “Nagaland-journey through the choir of clouds”, with its freshness and simplicity has a fragrance of the primeval and ethnic combined with the contemporary about it. A deep sense of sensitivity can be deciphered in the way it depicts the life and history of Nagaland and its people, the hospitality and warmth of the people that comes so naturally to them, the age old myths and folklore passed on from generation to generation, and an amalgamation of the past and the present harmoniously co existing. A sense of travelling back in time engulfs one, as the documentary takes us on a journey through the districts of Nagaland encompassing the serene life of the people and filling one with a sense of detachment from the chaos and humdrum of modern civilization. The documentary comes across as a landmark in itself as it explores an all embracing picture of a region, its people and their story. The director manages to have several scenes that give a glimpse into the core of Naga society with its myriad tribes and the remnants of the early animist culture and ancient traditions existing parallel to the contemporary life of the new generation. The entire team, including the script writer duo Parmita Borah and Schuyler Ellers (also the narrator) and the Eastern Fare Production team, come together to create a brilliant film that not only presents a unique view of the state of Nagaland, but also leaves a burning desire within the viewer to have a taste of this intoxicating land. The film is produced by Eastern Fare Music Foundation and Jim Ankan. 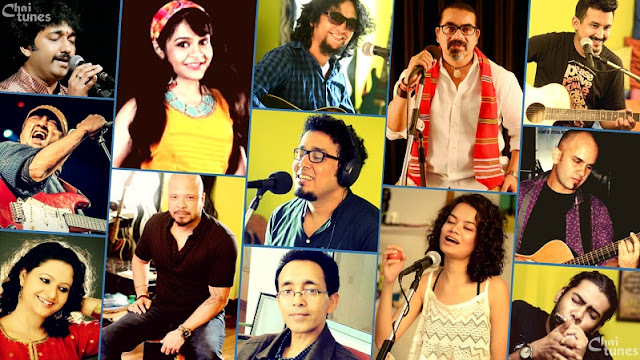 The video is edited in ‘Sargam Audiocraft’ by SK Biswa and the sound is mixed at ‘Studio Eastern Fare’ and ‘Sargam Audiocraft’ by Pinku and Jim. The internet version of the short documentary is released on 22nd July, 2011, and can be viewed on different portals including Dailymotion and North-East India page on Facebook.